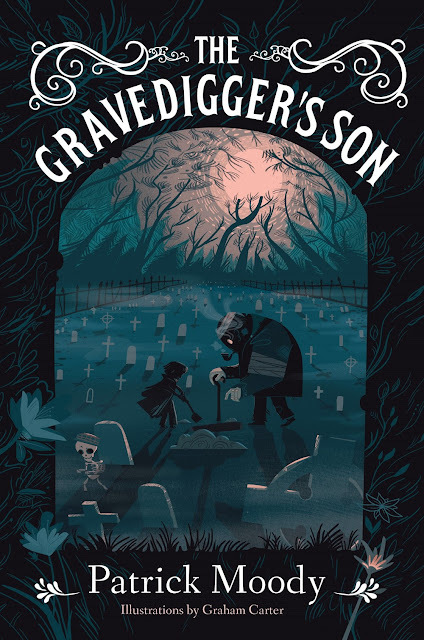 Patrick Moody's new children's book, The Gravedigger's Son came out yesterday. It's meant for 8-12 year olds, but I intend to read it too, eldergoth though I am! Ian Fossor is last in a long line of Gravediggers. It’s his family’s job to bury the dead and then, when Called by the dearly departed, to help settle the worries that linger beyond the grave so spirits can find peace in the Beyond. But Ian doesn’t want to help the dead—he wants to be a Healer and help the living. Such a wish is, of course, selfish and impossible. Fossors are Gravediggers. So he reluctantly continues his training under the careful watch of his undead mentor, hoping every day that he’s never Called and carefully avoiding the path that leads into the forbidden woods bordering the cemetery. How can anyone resist an intriguing premise like that?